We respect the privacy of our customers and other users of our websites, products and services. When we refer hereinafter to “we”, “our”, “us” or “REIN”, we mean Acend, Inc., dba REIN, its subsidiaries including Acend Insurance Solutions, LLC, and domain names we use including DroneInsurance.com. When we refer hereinafter to “User”, “you” or “your”, we mean you or the person visiting our websites and/or using our products and services. Our “Services” mean (a) products and services we sell online, and (b) website information or tools we provide on Rein.ai, DroneInsurance.com or our affiliated websites, and any applications we develop, whether independently or in collaboration with third parties, for the web, Android and iOS (collectively, our “Sites”). Registration and Account Information: When you register with us, create an account and access our Services, or thereafter update your information on your account, you are voluntarily providing us with Personal Information. Personal Information may include your name, email address, account password and other relevant information. Account Management: Following registration, you or your authorized administrator may add, delete or modify information on your account, including information concerning pilots and drones, for example. If you have questions about reviewing your Personal Information or making changes to it, please contact us as provided below. Pilot information may include a pilot’s name, date of birth, certificates and FAA licenses.  Drone information may include details such as the drone’s model number, tail number and serial number. Access or Use Our Services: When you access our Services, Personal Information that you provide to secure insurance or to pay insurance premiums is provided to us voluntarily. We may transmit your Personal Information to our insurance carriers or their representatives for purposes related to your insurance policy or claims. Communications with Us: You may voluntarily make Personal Information available to us when you contact our customer service agents, and/or when you report, change or update an insurance claim. You may also voluntarily provide us with Personal Information so we can respond to your requests for information, manage the application process, and/or send you communications. As provided below, you may opt-out of receiving communications from us at any time. Social Media Services: When you sign in, or engage, with our Services through Social Media Websites, you are agreeing to give us on-going access to your Personal Information that you have provided to such third-party accounts, including your public profile, birthday, work history, education history, personal interests and other personal information. We are not responsible for the privacy practices of Social Media Websites and third-party accounts that are linked from our Sites or Services. We encourage you to check the privacy policies of those Social Media Websites to understand and exercise your options to limit access to your information. Survey Information: From time to time, you may complete surveys relating to your experiences with our Services, and may in turn provide to us your demographic information (e.g., city, state, account ID and date of birth) and other Personal Information. Information from Other Sources or Combined by Us: We may combine information from outside sources to customize your experience using our Services. Use of Certain Third-Party Services. We use certain third-party services to capture and aggregate User data as well as to communicate with our Users. We also use third-party analytic services to help us better understand usage of our Services. In particular, we provide a limited amount of User information (such as a User’s email address and sign-up date) to such third-party services and utilize such services to collect data for analysis when Users visit our Sites or use our Services so that we may better improve our Sites and Services. Log Data: We may also receive, store and process “log data”, which is information that is automatically recorded whenever you access or use our Sites and Services, regardless of whether you are registered with us or logged into your account, such as your IP address, the date and time you accessed our Sites, the hardware and software you are using, referring and exit pages and URLs, the number of clicks, device event information, pages viewed and the order of those pages, and the amount of time spent on particular pages. Unmanned Aircraft System Log Files: We may receive, store and process log files from your unmanned aircraft system. We may also transmit these log files to our insurance carriers or their representatives as part of the claims process. Photos: We may receive and store photos that you upload to our Sites as part of the claims process. We may also transmit these photos to our insurance carriers or their representatives as part of the claims process. Telephone Communication: When you call our customer service team, we may collect your name, account ID and other information to assist you in addition to any Personal Information that you may provide in the process of obtaining or learning about our Services. We may also obtain other Personal Information about you as necessary from consumer reporting agencies, insurers and unaffiliated third parties, public records and other sources. Information collected about you may include information related to your employment history, credit score, credit history, or transactions with us or others. Also, we may check the information you provide to us with certain government databases, including the Federal Aviation Administration (FAA) and the Office of Foreign Assets Control (OFAC), regarding your application to use our Services. We use your Personal Information to provide market-leading services to you, to confirm that the information we know about you is accurate and complete, to report claims, to prevent fraud, to conduct analyses for our business, for other normal business administration and related services, and as otherwise required or permitted by applicable law. In addition, our Sites automatically collect anonymous information about Users. For example, our Sites automatically gather a User’s Internet Protocol address, which Internet Service Provider the User utilizes, statistics about how Users navigate through and use our Sites, and information gathered through the use of “cookies.” A “cookie” is a piece of data stored on the User’s device tied to information about the User. Web browsers typically allow you to control most cookies through browser settings. You may decline our cookies if your browser permits, but it may impact your ability to fully use some of the features on our Sites. By using our Sites, you agree that we can place cookies on your device, unless you have limited their use in your browser settings. Certain Internet browsers such as Explorer, Firefox and Safari offer a “do not track” or “DNT” feature that sends a signal to websites visited by the user indicating the user does not wish to be tracked. We do not currently respond to browsers’ DNT signals with respect to our Sites, in part, because no common industry standard for DNT has been adopted by industry groups, technology companies or regulators, including no consistent standard of interpreting user intent. We will continue to monitor developments around DNT browser technology and the implementation of a common standard. Other third parties may deliver cookies to your device in order to track your online behaviors over time and across nonaffiliated websites or to deliver targeted advertisements either on our Sites or on other websites. You have choices about the information third parties may collect about you through our Sites. For example, if you do not want your information sent to a third party, you may download an Opt-out Browser Add-on by clicking here. We work to protect the security of Personal Information during transmission by using Secure Sockets Layer (SSL) software, which encrypts the information that is transmitted on our Sites. We may employ companies and individuals to perform functions on our behalf. Examples may include providing marketing assistance, performing statistical analysis, and providing customer service. These companies and individuals will have access to the Personal Information only as necessary to perform their functions, and may not access or use it for any other purpose. We have commercially appropriate security measures in place within our database and physical facilities to protect against the loss, misuse, or alteration of information that has been collected on the Sites. However, please be aware that no method of transmission over the Internet or method of electronic storage is 100% secure and we are unable to guarantee the absolute security of the Personal Information we have collected from you. Your password and account credentials are sensitive. We need to be able to assume that anyone using your account as you, by using your password and credentials, is you. We will not ask you for your password. Please do not share your password or account credentials with anyone or allow anyone else to use them. By creating an account on our Sites, you agree that the information you share with us is complete and accurate, and that you will keep your information up-to-date. We may utilize e-mail to communicate with Users regarding our Services. We may also occasionally use a User’s Personal Information to notify the User of our Services and special offers via periodic mailings or e-mail updates. 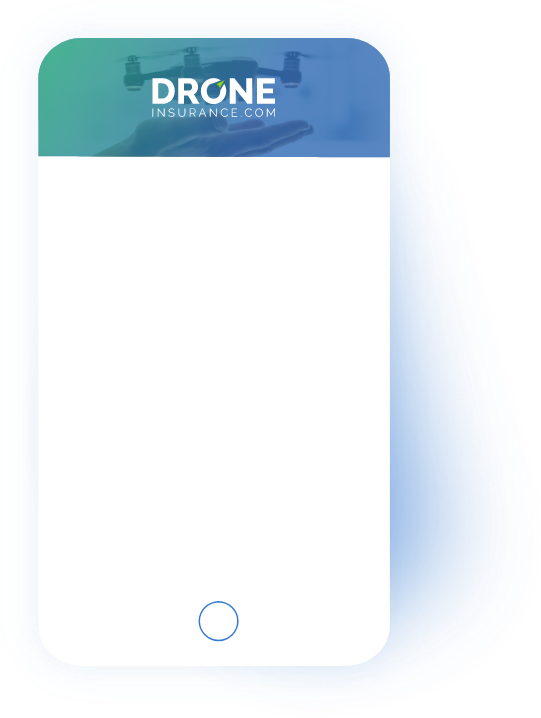 Users may opt-out of these communications by emailing us at Info@droneinsurance.com with “UNSUBSCRIBE” in the subject line. We may share certain Personal Information with our partners and providers in connection with our Services. We may also share non-personally identifiable information in order to improve our risk modeling and perform aggregate reporting. If your Personal Information is accessed by unauthorized entities, we will seek to notify you in compliance with applicable law. We use industry leading secure third-party payment processing services for all credit card transactions. Privacy policies and security policies for these third-party services are available on their respective sites, and they are responsible for maintaining any necessary compliance with applicable data security laws or industry standards. To maximize security, we do not keep any record of your actual credit card or debit card. Our Services are not directed toward children. The Children’s Online Privacy Protection Act of 1998 (“COPPA”) imposes restrictions on commercial websites, including ours. It is our policy to be compliant with the requirements of COPPA and not to solicit or collect personally identifiable information from children under age 13 (“Child”) without parent or guardian consent. If you are a parent or guardian and you learn that your Child has provided us with Personal Information, please contact us. If we discover that a Child under 13 has provided us with Personal Information, we will delete such information from our servers. Although we make every effort to preserve User privacy, we may need to disclose or provide access to Personal Information if required to do so by law or if we have a good faith belief that such action is necessary to comply with the law, such as in connection with a judicial proceeding, court order or legal process, including (a) to respond to claims asserted against us; (b) to comply with legal process (e.g., subpoenas and warrants); (c) to enforce and administer our agreements with Users; (d) to prevent or investigate fraud; or (e) to protect our rights or the safety of us, our Users or members of the public. We will use commercially reasonable efforts to notify Users about law enforcement requests for their data unless: (a) providing notice is prohibited by the legal process itself, by court order we receive, or by applicable law; or (b) we believe that providing notice would (i) be futile, (ii) be ineffective, (iii) would create a risk of injury or bodily harm to an individual or group, or (iv) create or increase a risk of fraud upon us, our Users or otherwise through our Services.